Joseph “Jose” Banks, a purported “sovereign citizen” convicted of bank robbery earlier this month, has been captured after his escape from a federal jail in Chicago on Tuesday, the FBI told the Associated Press. A manhunt for alleged fellow escapee Kenneth Conley continues. Also see: Chicago Tribune story on capture of Banks. Weeks after a pair of bank robbers made a daring escape from a downtown Chicago high-rise jail, police said Friday they captured the last of the two men but didn’t notice him at first because he had disguised himself as an older person. 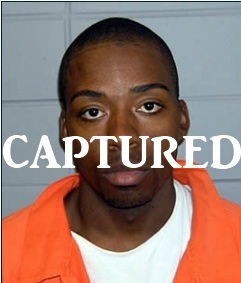 Kenneth Conley was arrested in the Chicago suburb of Palos Hills after a short foot chase. Palos Hills Deputy Chief James Boie said Conley was dressed like an old man, wearing a beret and glasses, and walking with a limp when officers approached him. Didn’t Peter Sellers use similar disguises in some of his films? Assistant U.S. Attorney Stephen Baker asked a federal judge Thursday to dismiss the escape charges because Joseph “Jose” Banks, 37, already faces up to 80 years in prison in the separate bank robbery case.